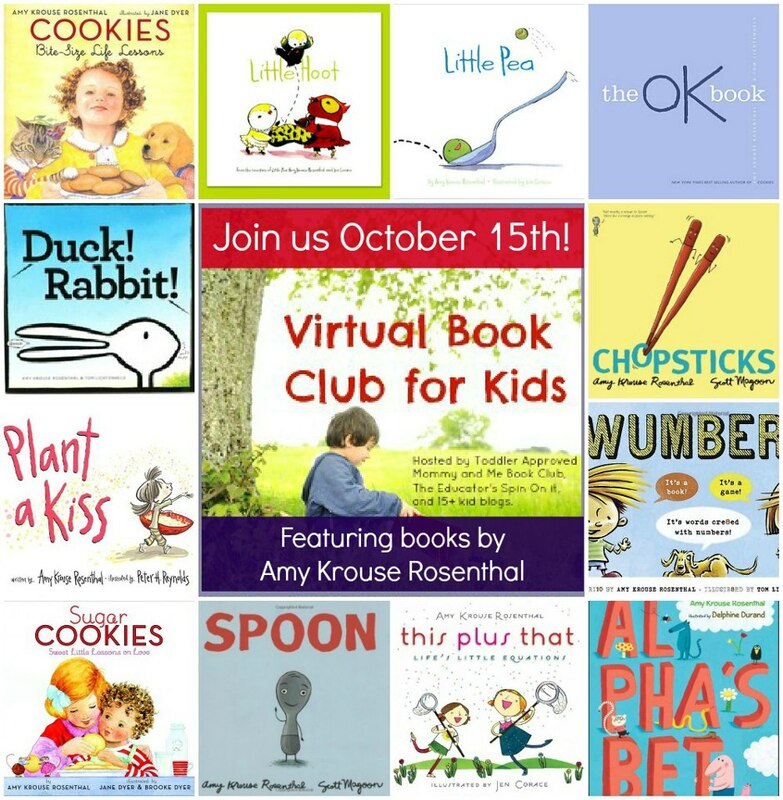 REMINDER: Monday is the first day of the Virtual Book Club for Kids this month and the author is Amy Krouse Rosenthal! 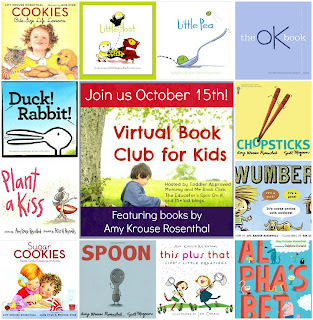 I hope you will share an activity with us inspired by one of her books! Well, one of my goals of this blog was to be a place where people could share ideas and get ideas. I love Sharing Saturday (and Happy Family Times) because this gives everyone a place to share. Today I'm going to share some of the ideas we have gotten from Sharing Saturday and loved! 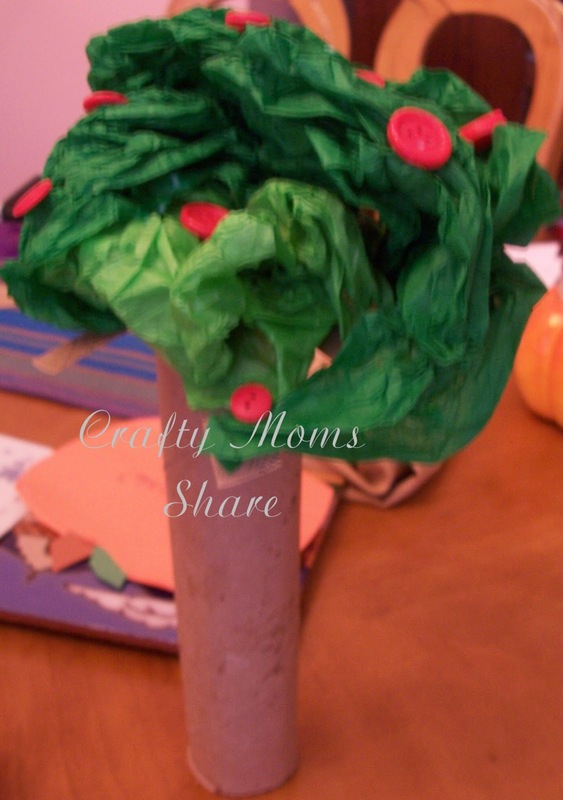 We made an apple tree from a paper towel roll, tissue paper and red buttons. This idea came from I HEART CRAFTY THINGS. Thanks for sharing it with us!! We changed the idea a bit and made a free standing tree. Plus I let Hazel have a lot of control over it, so it is a bit messy. 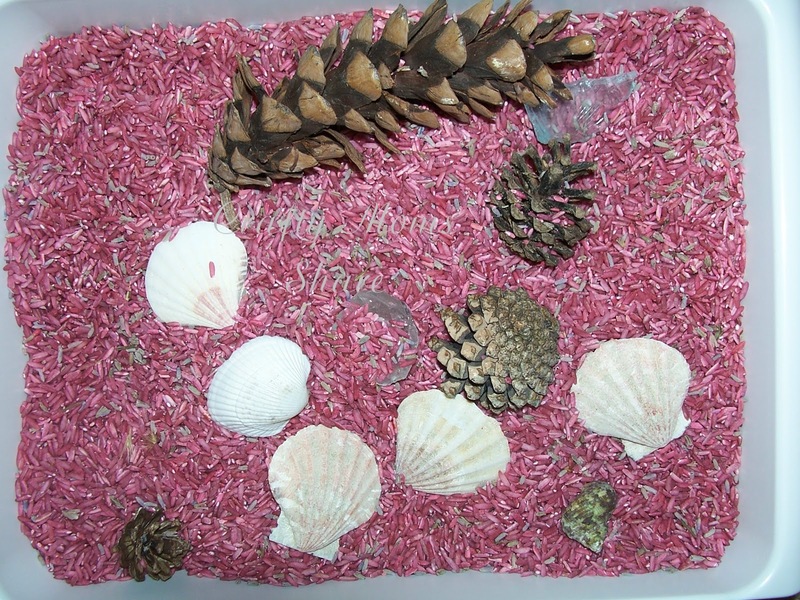 Next we made a mini lavender rice zen garden. This wonderful idea came from Adventures at home with Mum. I used too much red food coloring, so Hazel calls it her pink rice. I also put some dried lavender flowers in with the rice instead of using essential oils. Hazel loves playing with it. This is her first rice sensory toy. We put shells, rocks, sea glass, pine cones, etc. in to play with as well. She likes the shells as scoops and we bury things in there. Ok, this idea I know has been shared by many people. Doing a quick look I came up with You'll Thank Me One Day as being the most recent (or at least the one I noticed). Hazel has been wanting to make some homemade play dough. We did. We made two batches--blue and green. We scented the blue with orange extract and we scented the green with ground cloves. 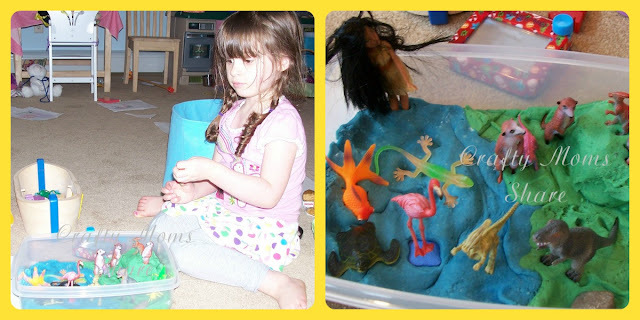 Then I put them in a large tupperware container and we added her dinosaurs and then some of her other animals from her zoo play mat. Oh, and she put Pocahontas wading in the water. Needless to say she loves it!! Have you tried any of the ideas shared on a Sharing Saturday? I would love to hear about it!